I attended a lovely harvest festival on Sunday and it reminded me about the research on kindness; I have spoken about this before in my blogs, but will do so today from a slightly different angle. 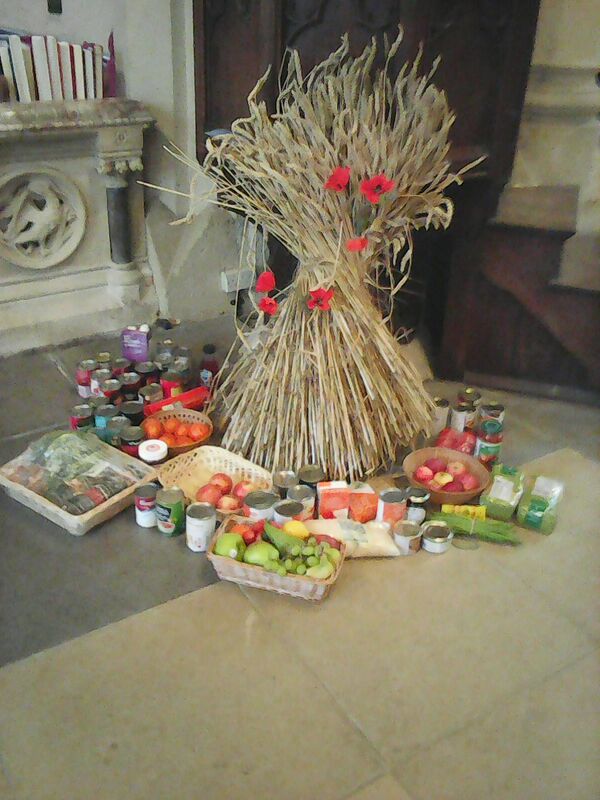 Some people may say that the reason folks take along fresh food or tins to the harvest festival is to show others how generous they are – that is rather sceptical. Hopefully most do it because it gives them a chance to help someone less fortunate than themselves and that in turn makes us feel good about ourselves – being kind is a win-win situation – we help someone else and benefit our own mental health at the same time. This is why the research has shown it is beneficial for people with depression. A friend of mine who has depression recently asked people to do something kind on her birthday instead of sending her a card or a present and we did just that, but it didn’t make her feel any better as she was not the one doing the actions! It doesn’t have to be a grand gesture; it could be donating to the refugees or just simply smiling and saying hello (but don’t ask someone how they are unless you are prepared to listen to the answer). Some people – like mothers of young children and carers spend their whole days being kind, but for people who live on their own and who work in an industry where their work does not directly benefit others could go a whole day without doing a kind action – but just making a cup of tea for someone would help. The other problem is that some people spend their time worrying about others – this is not kindness and getting stuck in a cycle of worrying thoughts is not beneficial to one’s mental health either – maybe I will write my next blog on that topic? This entry was posted in Jacqueline and tagged mothers; kindness; harvest; depression. Bookmark the permalink.